American manufacturer GermGuardian has long been famed for its ability to disrupt the accepted order of the air purifier market with powerful, well-built tower air purifiers that don’t break the bank. But until very recently, they have focused their business almost on the bigger devices, especially with the GermGuardian AC5900WCA. So, here you are, let’s check our GermGuardian AC5900WCA Review together. The recently launched GermGuardian AC5900WCA is a solid candidate of Guardian Technologies to compete in the aggressive low-range market. With this air purifier, Guardian Technologies made a striking statement, not just from a design perspective but from a business one, too – they want to be considered an equal to the big players in the mid-range air purifier arena, such as Blueair, Rabbit Air and recently Levoit. Follow our GermGuardian AC5900W Review to see what could push this air purifier so far, out of the familiar under $150 range of this brand. To commit in making bigger air purifiers, the Guardian Technologies company needs to enhance both the fan power and the iconic True HEPA filter. With lots of investment, the starting price of GermGuardian AC5900W is a little bit above the average. Though the air purifier is still under low-range segment, with the price tag of $199, GermGuardian AC5900W reflects the clear direction of this brand to aim at mid-range market. This direction is mostly visualized in the new AC9400W in 2019, which we will make a review for it as soon as possible. With that price, the GermGuardian AC5900W is go side-by-side with the GermGuardian CDAP5500BCA to be the current $199 air purifiers of this company. One short reminder, the CDAP5500BCA is a smart air purifier with Wifi connectivity, but holding a much weaker fan power than GermGuardian AC5900W. Should you need the better performance, you can’t go wrong with this GermGuardian AC5900W. $200 price range is also the most competitive sector, with the representation of many excellent air purifiers like AeraMax 300, Honeywell HPA300, Coway AP-1512HH, Levoit LV-PUR131 and especially, Blueair Sense+. Set eyes on this GermGuardian AC5900W, we are happy to deliver a $20 discount if you grab our deal below. GermGuardian AC5900WCA 3-in-1 Large Room Air Purifier, HEPA Filter, UVC Sanitizer. 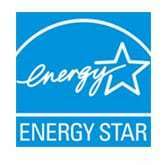 The Home Air Cleaner Traps Allergens for Smoke, Odors, Dust, and Germs, comes with a discount of $20. AHAM Verified. The company has now reworked the original design and returned with this GermGuardian AC5900W, a more refined, logical and a favorable concept. Now, there is no any 28-inch tower with a really confused design language. Instead, with the use of a 21-inch height and 16-inch width, this gives the GermGuardian AC5900W a solid profile, making us feel the greater fan power than the predecessors. As far as affordability is concerned, the GermGuardian AC5900W has a few tricks to save costs whilst still delivering as a solid air purifier package. The majority of the air purifier is still plastic, and there is no signature circular light on the front panel anymore. However, this air purifier is assembled in such a way that the company has ensured the GermGuardian AC5900W still look plenty stylish. GermGuardian AC5900W even pushes far away from the original design, to be the first of its kind to have a bottom-to-top air flow system. To do that, GermGuardian AC5900W uses a huge air intake grill from the front and a smaller air outlet grill on top. This design is borrowed from almost all of $200 air purifiers, such as Honeywell HPA300, Coway AP-1512HH, and Levoit LV-PUR131. Even at $369, a Design Award Winner – Rabbit Air BioGS 2.0 – make use of the same air flow concept, too. That is indeed a great compliment for GermGuardian AC5900W. On top of this GermGuardian AC5900W, beside the air grill, we will have a common control panel with 5 functionality buttons. We will have only one color option, as the GermGuardian AC5900W just only come with White version. Honestly, I like the Black version of GermGuardian’s air purifier more, as the Black Onyx color is much more premium, in my opinion. Though bigger, the GermGuardian AC5900W is just only 13 lbs, which is nearly the same with Coway AP-1512HH, and Levoit LV-PUR131. A 13 lbs is like a house cat, if you are asking me. The GermGuardian AC5900W comes with a 3-in-1 air cleaning system which features the power of a product line, with the combination of 3 most popular air filter types, to guarantee an absolute purification. 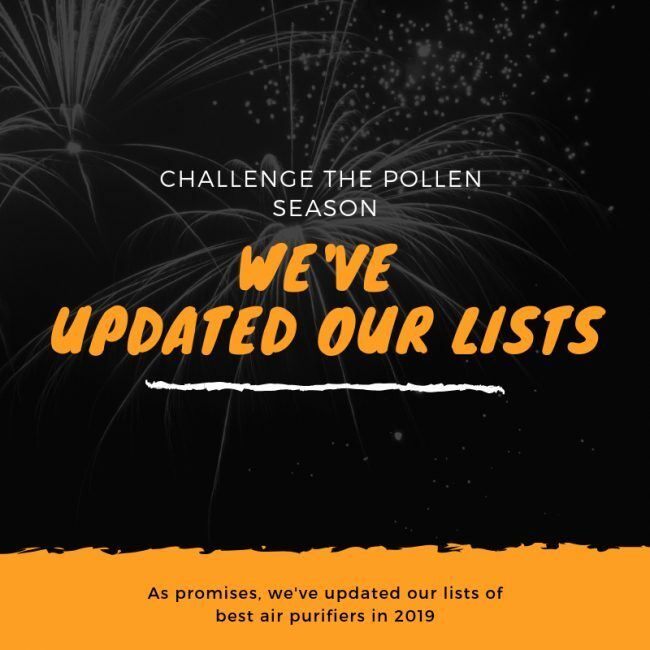 Pre-filter – A normal pre-filter with Activated Carbon Filter to remove the large particles of pollutants and reduce odors created from smoke, cooking, and pets. 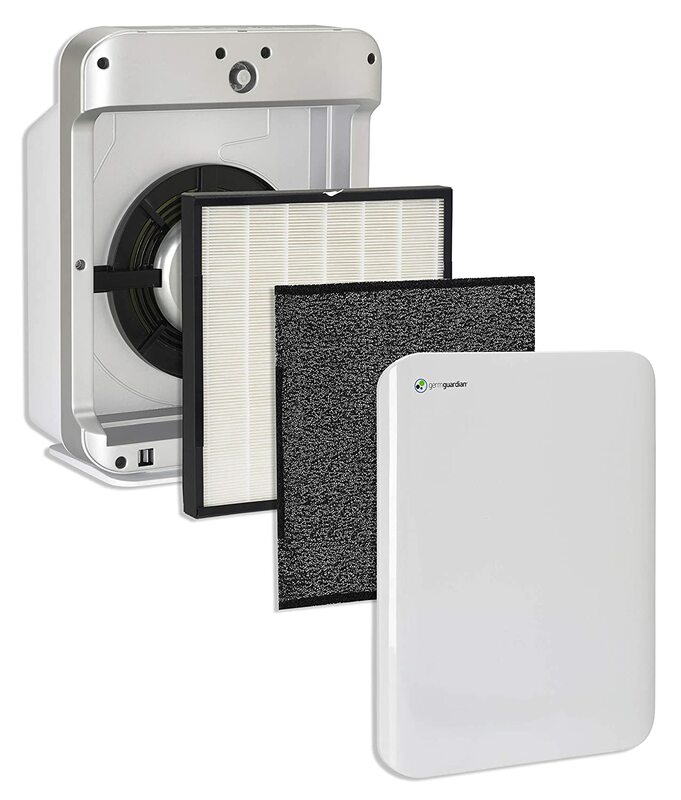 True HEPA filter – GermGuardian AC5900W uses a True HEPA Filter to capture 99.97% of microscopic allergens, dust and mold spores as small as 0.3 microns in size. UV-C Light – This air purifier is also using an UV bulb to kill airborne bacteria, viruses and mold spores. To improve the performance rating, GermGuardian AC5900W runs a new True HEPA filter which is one and a half times as big as an average GermGuardian’s air filter. Increasing the surface is the best way to utilize the fan power and increase the trapping efficiency of this air purifier. However, the Filter J of GermGuardian AC5900W is not upgrading with Pet Pure Treatment, which is widely used in the latest of this brand, like GermGuardian CDAP5500BCA or GermGuardian AC5350B. I set up a performance test for the GermGuardian AC5900W along with the Levoit LV-PUR131. It is quite insufficient for the GermGuardian CDAP5500BCA to stay in the same test conditions, in a room of 200 sq ft and duration of 1 hour, but I was willing to make a deep comparison to see the performance of GermGuardian AC5900W. The result, both the GermGuardian AC5900W and Levoit LV-PUR131 can trap 99.9% of down to 0.3 microns particles. The CDAP5500BCA is weaker in a large room, and has efficiency of only 99.5%. Moreover, a signature GermGuardian’s air purifier needs the support of an UV-C light bulb. This 5W UV bulb is able to destroy germs, airborne bacteria, viruses and mold spores. This combination is truly what makes Guardian Technologies stand out of the crowd at the moment. As usual, this True HEPA filter needs 6-8 months to be replaced. And with that short time, a $69 air filter will hold you back from buying a new one. It is disappointed that a low-range air purifier like GermGuardian AC5900W has such high filter replacement cost like that. Trading off the smart features for the power, GermGuardian AC5900W is exactly what customers demand from this brand, the larger room coverage. That being said, this GermGuardian AC5900W can handle a room of up to 338 sq ft. This room coverage is quite similar to others in same price range, like Coway AP-1512HH and Winix WAC9500. The ACH of GermGuardian AC5900W remains 4X. With that high air changes per hour rating, this air purifier can clean your room every 15 minutes. The CADR of GermGuardian AC5900W is 220 Dust/ 218 Smoke/ 215 pollen (cfm). This CADR rating is just better than the slow Levoit LV-PUR131, but no way near the fan power of Honeywell HPA300. We must again remind you that CADR rating doesn’t tell you the performance of your air purifier, only how fast this device can clean your room. In a 338-sq-ft room, GermGuardian AC5900W can pass any difficult tests with no struggle. With only 3 fan speeds, this GermGuardian AC5900W is still as noisy as an average 5 to 6 fan-speed-air purifier. It’s not hard to tell the culprit, a bigger size device like GermGuardian AC5900W needs a bigger fan, which produces a higher noise level. Even at the lowest setting, the noise level of GermGuardian AC5900 can reach 40 db, which is higher than most of the normal air purifiers in the market. For example, the AeraMax 300 is only 35 db, the SilverOnyx can be as low as 25 db, or the Winix 5300-2 with only 28 db. And when you switch to the highest setting, the noise level of GermGuardian AC5900W can reach as high as 60 db. This is such a noise level of the public restaurant, or an air conditioning unit at 100 feet. I bet most of our beloved readers won’t find this noise level acceptable. If you don’t want this air purifier to disturb you, I suggest that you keep running this GermGuardian AC5900W at low setting whenever possible. One of our most FAQs is “Do air purifiers use a lot of energy?” In fact, air purifier must be used for a long time to be efficient. And power consumption is one important criteria to review if this air purifier is good or not. With the use of a new built-in 5W UV-C bulb and much more fan power, GermGuardian AC5900W runs at 60W, and can kill your energy bill easily. To save your precious money when use an air purifier for a long time, we suggest you search for Coway AP-1512HH, Levoit LV-PUR131, and Blueair Sense+. For using a GermGuardian AC5900W 8 hours per day, it would cost you up to $22 per year. Guardian Technologies, like so many other budget air purifier brands, has replaced the quality of its air filter for lots of marketing aspects like Smart features, modern appearance and of course, the add-on of UV-C light bulb. On the other hand, within this GermGuardian AC5900W, the company decide to give out the great performance and fan power for the price. Honestly, I believe more in the performance of one air purifier, and this new direction of Guardian Technologies truly deserves some praises. That’s why, we shouldn’t expect anything from this air purifier. The only feature that is available in GermGuardian AC5900W is only one Timer, to auto turn off the device and save more energy. Luckily, we still have a handy LED indicator for filter replacement. With this function, you no longer need to remember the replacement date anymore. There is not much to say about the brilliant support from Guardian Technologies’s customer service. The American brand is providing a very active support for anyone contacting them. They also put the Instruction Manuals online to help you solve the common questions by yourself. But if you can’t find a solution, just contact the customer service via phone at 866-603-5900 or via email at support@guardiantechnologies.com. Just like any other brands, they will be available for you from Monday to Friday. They have occasional Free Shipping policy, as well as a great discount on all products (most popular 10% to 20%). 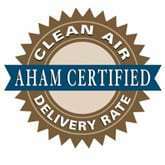 Whenever you find their air purifiers not as great as you previously thought, you can return them within 30 days of your original receipt of the order. And don’t worry about the warranty policy of Guardian Technologies, as they warrant their products to be free of defects in materials or workmanship. You can register for a warranty in up to 5 years. 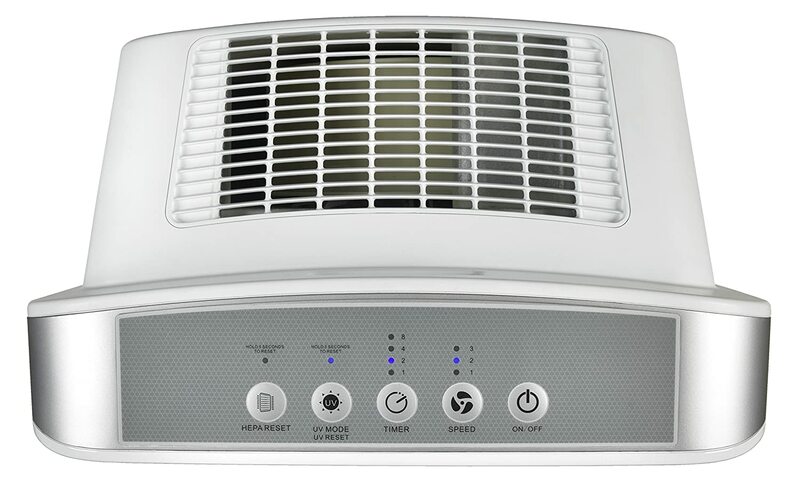 For under $200, GermGuardian AC5900W is definitely a good deal when it has a combination of both True HEPA filter and UV-C light filter as other $300 air purifiers. However, if you prefer a better performance, you should go for Honeywell HPA300 or Coway AP-1512HH, with much better fan power and slightly higher efficiency. Or if you need more smart features for your device, a CDAP5500BCA or especially, Blueair Sense+ would fit you better. Should I buy GermGuardian AC5900W? Yes, and you shouldn’t regret the Smart features on the GermGuardian CDAP5500BCA, as this brand is quite bad in making smart app. If you have serious allergies or asthma to airborne pollutants: the GermGuardian AC5900W is powerful with its 3-stage air cleaning system. If you want a better performance, or better fan power to clean your room faster: you can choose between the AeraMax 300, Blue Pure 211, Honeywell 50250 and Honeywell HPA300 for a better fan power. If you need an air purifier with a better room coverage: you can choose the Alen Paralda or Alen T500 with manufacturer’s suggested room size of 500 sq ft. The Oransi Finn can clean a room of 400 sq ft, or the AeraMax 300 to clean a room of up to 600 sq ft. If you need a budget version of this air purifier: you should opt in for the GermGuardian AC4825 or GermGuardian AC5250PT. If you need a more silent air purifier: you should get the Coway AP-1512HH, Winix 5300-2, Winix C535 or Winix 5500-2 instead. If you care about the annual filter cost and energy cost: the Coway AP-1512HH and Levoit LV-PUR131 are better options for you. If you love the additional features: you can get the Blueair Sense+, Honeywell HPA250B or GermGuardian CDAP5500BCA, for both Smart Sensor and Wifi capability. It’s an easy buy for anyone who places performance, fan power and quality ahead of the aesthetics of conventional flagship air purifiers. However, the GermGuardian AC5900W is still not the best performance air purifier for the price.